Honoring the 500th anniversary of the Reformation, Christopher Elwood offers an insightful and accessible overview of John Calvin's theological ideas within their historical context. 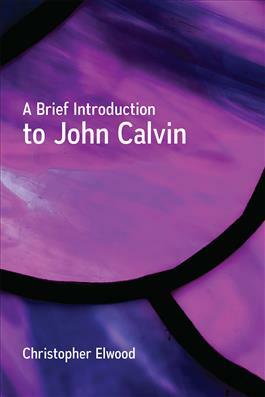 A Brief Introduction to John Calvin discusses the trials and tribulations Calvin encountered as he ministered and taught in Geneva, paying special attention to the theological controversies associated with the Trinity and predestination. In this concise introduction, Elwood explores the development of Calvinism and its influence in today's world.